Prophet Muhammad (Peace be upon him): Early Life ~ Islam My Ultimate Decision . Prophet Muhammad (peace be upon him), is the last of the prophets of Allah in the long lineage of prophets that Allah sent to the mankind to show them the righteous path chosen by Allah for the guidance of mankind and save them from the fire of hell. Those who believe in words of Allah have been following Allah's divine message and commandments and carrying on to obey Allah's continued guidance for they may be forgiven. Allah revealed His commandments in four holy scriptures to prophets Dawood (David), Musa (Moses), Eesa (Jesus) and last of all to Muhammad (may peace be upon them all) and accordingly followers of Allah's divine messages, the believers continued to follow each new message for all messengers and prophets carried the same message, improving upon the previous revelations. Thus we as Muslims not only believe in all the prophets before Muhammad (peace be upon him), but also the previous scriptures too. 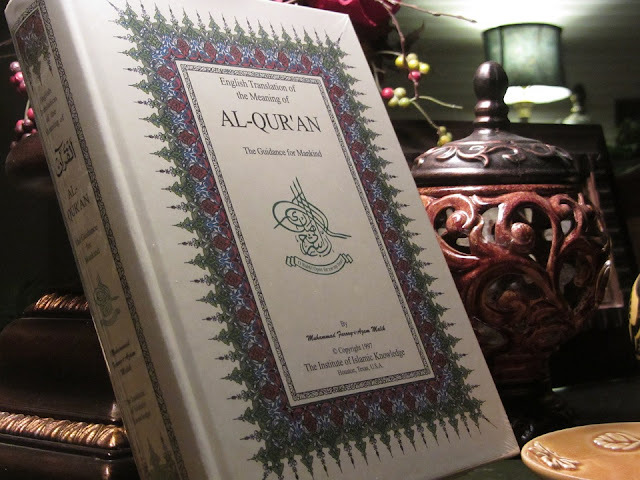 However, people of scriptures before the holy Qur'an, the fourth and the last holy scriptures more often than not tend to believe in the finality of their scriptures and refuse to accept the scripture that followed theirs, even when there are clear indications that the final word from Allah is still to come. And Alhamdo Lillah more and more people are embracing Islam for it shows the ultimate truth and guides the mankind to the final word of Allah. Prophet Muhammad (peace be upon him) was chosen from the land of barren and rugged mountains and deserts of Arabia to be the last of the prophets to receive the last of the holy scriptures, the Holy Qur'an, for the ultimate guidance of mankind till the day of judgment. Now in a series of posts, I will deliberate on the life of Prophet (peace be upon him) in the various phases of his life till the revelation of Qur'an finally completed. In this post, I will concentrate on the early life of Prophet Muhammad (peace be upon him) till the dawn of prophet hood when he turned forty. The landscape of Arabia around 570 AD was quite hostile, both weather and tribal enmity wise. The scorching heat of deserts of Arabia restricted the population near oases or mountain folds. Makkah and Yathrib were the two thriving cities; the former being a trade hub and the latter being a farming paradise. Those were the times when tribal rivalries were at their peak and Makkah was the certain of idol worshipers. Around 360 idols were placed inside and outside of the Ka'ba, a holy place built by prophet Ibraheem (Abraham) ad his son Ismail (Ishmael), peace be upon them, as a home of Allah. But by and by it became a hose of world gods as Allah's messages and guidance faded from the bitter and stubborn hearts of the nomad Arabs. Those were the times when infant girls were buried alive as the families felt ashamed of having girls born to them. With Allah's divine messages almost lost and the people of Arabia had digressed from what Allah had revealed for their guidance through His early prophets and Messengers, a boy was born around 570 AD in Makkah to the house of Abd Allah bin Al Muttalib of the noble clan of Banu Hashim. The father had died six months before the birth of his son and his grandfather Muttalib named his grandson as Muhammad, meaning "to praise, to glorify," and took over his responsibility. Muhammad's mother Amna sent her son to a wet nurse Halima to outskirts of Makkah, as the norm was, to be raised in the openness of nomad areas. This allowed young Muhammad to the rigours of nomad life right from his early days. Muhammad was six when his mother died and he was then placed in the custody of his grandfather. His grandfather was then the custodian of Ka'ba and was held in high esteem. From here on in the patronage of his grandfather, he met signatories and merchants who to Ka'aba and was educated in the company of the elite and those who mattered in business. But his grandfather was not to live long and passed away in 578. His further upbringing thus fell on his uncle Abu Talib, a merchant by trade. While he accompanied his uncle on trade tours, he also reared herds of sheep, something which all prophets did before him. His tours with trade caravans made him interested in trade and soon became part of this profession. Right from the outset, his integrity and character and fair dealing earned him a respectable position was started to be called Al Ameen, a person that can be trusted. As his repetition spread, a wealthy widow Khadija of Makkah, a distant cousins of his, asked him to carry her good for trade. His fair dealings brought profits to Khadija beyond her expectations and impressed by his honesty, she sent a proposal of marriage to him through his uncle. Thus they both were married when he was 25 and Khadija was 40. They both had six off springs, two male and four female. However both sons died in their very early age. The place Muhammad enjoyed as just and an honest man was amply demonstrated when the Black Stone of Ka'aba was to be placed back after it was removed for the renovation of the Ka'aba structure, this was somewhere in 605 CE. Since it was a sacred stone, a clash arose between the chieftains of Makkah as to who would place the stone back to its place. When they could not come to a solution, they decided that first person that enters Ka'aba the next morning would be entrusted with the task. It so happened that young Muhammad, aged 35, walked in and was asked for the solution agreed by all. Muhammad (peace be upon him) asked them to place the stone on a piece of cloth and lifted by all chieftains till the stone is brought to its place. When it was done so, he picked the black stone and placed it at its exact position. Although Muhammad was a thriving businessman, he had some emptiness deep inside him and thus would take time out and go out on the mountains overlooking Makkah and prayed, sometimes for days altogether. The cave of Hira in the mountain of Jabal-e-Noor was his favourite place to find solace and mediation. And it was here at the age of forty that he received the first revelation from Allah through Angel Gabriel and his journey of prophet hood began. To be continued in separate posts on his life from hereafter as Prophet Muhammad, peace be upon him.